Karl C. Maritato, DVM, Diplomate, ACVS-SA, is a board-certified Veterinary Surgeon at MedVet Cincinnati, where he has been part of the medical team since 2010. Dr. Maritato attended the University of Florida, where he earned two Bachelor of Science degrees. At Ross University School of Veterinary Medicine, he earned his Doctor of Veterinary Medicine degree, graduating with highest honors and at the top of his class. He received the American Animal Hospital Association Small Animal Medicine Award, the Pfizer Parasitology Award, and the Novartis Pharmacology Award. Following his graduation from veterinary school, Dr. Maritato completed a yearlong internship in small animal medicine and surgery followed by a yearlong surgical internship at the Louisiana Veterinary Referral Center, now MedVet Mandeville. He then completed a three-year residency in small animal surgery at MedVet Columbus. 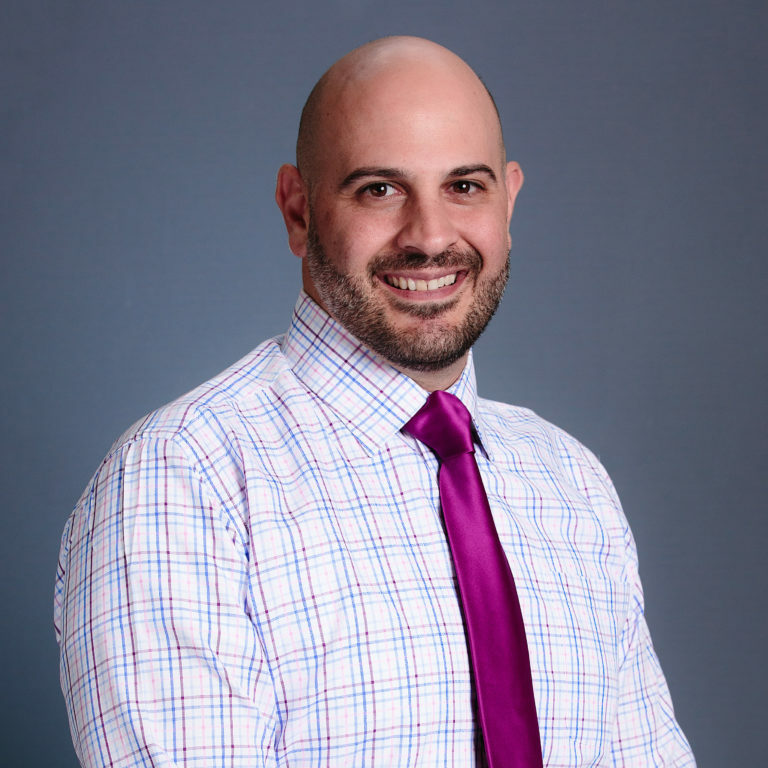 After completing his residency and becoming a board-certified Diplomate of the American College of Veterinary Surgeons, Dr. Maritato played an integral role in the development and introduction of new surgical options for the Cincinnati community. Within months of opening the surgery department, he performed the first cement-less canine total hip replacement and minimally invasive arthroscopic procedures in Cincinnati. He has surgically repaired thousands of ruptured anterior cruciate ligaments (ACL) in dogs. When MedVet Dayton opened in 2012, he used his skills and experience to develop a full service surgery department there as well. Dr. Maritato is the author and co-author of scientific articles in a variety of veterinary publications, including the Journal of the American Veterinary Medical Association, Veterinary Comparative Orthopedics and Traumatology, Compendium for Continuing Veterinary Education, Journal of Feline Medicine and Surgery, Journal of Small Animal Practice, Preventive Veterinary Medicine and Clinicians Brief. Dr. Maritato is also consistently invited to review surgical literature for accuracy for select veterinary journals. Dr. Maritato is an active advocate of continued education for veterinary professionals and has lectured on a variety of small animal topics throughout the country at regional, state, and national venues, as well as in Europe. He has also been featured on NBC 4 News in Columbus, as well as AM 550 (WKRC), ABC 9 News, and Fox 19 News in Cincinnati. Dr. Maritato maintains an interest in all aspects of small animal surgery with particular interests in neurosurgery, oncologic surgery, and orthopedic surgery. He has a focused interest on diseases of the stifle (knee), angular limb deformities and joint replacements. Dr. Maritato also performs clinical research through the MedVet Clinical Studies department and has developed orthopedic implants for use in dogs. He enjoys being able to offer clients and patients treatment options for complex disorders that seem untreatable. When not treating patients, Dr. Maritato enjoys gardening and traveling with his wife. The front desk staff and Dr. Maritato are AMAZING!!! Dr. Maritato’s expertise and knowledge made me feel comfortable and confident that the surgery he performed was the right thing to do. His bedside manner which is extremely important to me is bar none! The front desk staff is always very kind to me and more importantly my dog. The care they showed Azio gave me great comfort during a very stressful time. – Anita H.
Dr. Maritato is amazing and always very informative, compassionate and available. He provided detailed info regarding ACL surgery and what to expect. He performed the surgery on one of my other dogs, Ellie previously and I wouldn’t have taken Lucy anywhere else for her surgery. – Shannon H.